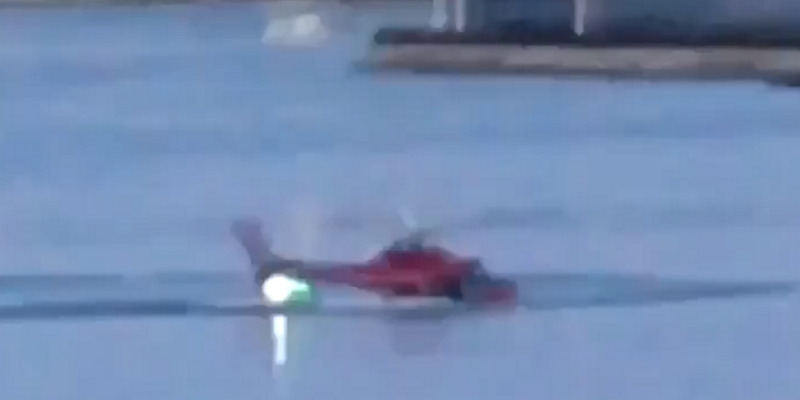 Twitter/JJMagersFootage posted to social media shows the moment the helicopter hit the water. A private charter helicopter crashed into New York City’s East River on Sunday evening. The aircraft, which belonged to Liberty Helicopters, hit the water and flipped over around East 90th Street between Manhattan and Roosevelt Island. It had five passengers on board, all of whom have been confirmed dead. The pilot managed to escape and survive. 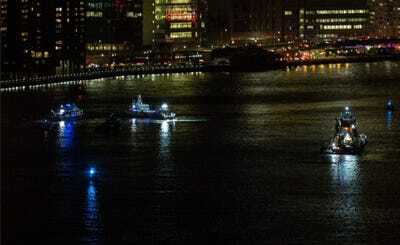 Five people have died after a helicopter crashed into New York City’s East River and flipped over on Sunday evening. According to police, the pilot managed to escape, but all five passengers inside were trapped in their safety harnesses and could not make it out. Two died at the scene and three more at hospital. The passengers have been identified as Carla Vallejos Blanco, 29, Daniel Thompson, 34, Tristan Hill, 29, Brian McDaniel, 26, and Trevor Cadigan, 26. Mario Ruiz, a spokesman for Business Insider, said Cadigan was an intern at the website until a few weeks ago. According to CNN, the pilot made a radio distress call to New York’s LaGuardia airport saying that the helicopter’s engine had failed. 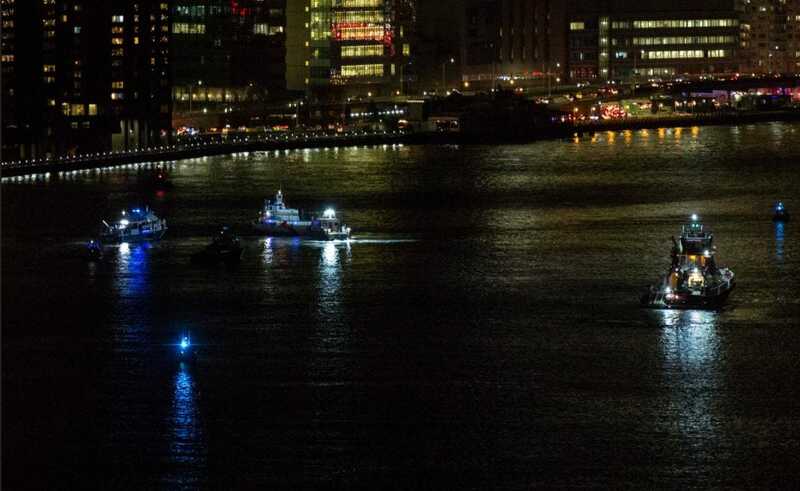 At a press conference late Sunday night, NYPD Commissioner James P. O’Neill said the helicopter was on its way back from a photo shoot when it crashed. New York City Mayor’s OfficeRescue vehicles attend to the fatal helicopter crash in New York City on March 11, 2018. The pilot reportedly told authorities he believed a passenger’s bag may have accidentally hit the emergency fuel shutoff switch, the Associated Press reported Monday. The Federal Aviation Administration and National Transportation Safety Board are investigating the crash to figure out exactly what happened.